Ford has announced that it will be introducing exoskeleton technology to help its factory workers in their day to day manual tasks. Ford has unveiled an exoskeleton technology that will reportedly help its workers combat fatigue and injuries. The U.S.-based multinational automaker company Ford Motor Co. recently introduced to the public an exoskeleton technology that will boost its workers’ lifting strength. The wearable tech, which comes in the form of a vest, can also help workers fight fatigue and prevent serious injuries caused by their physical tasks. 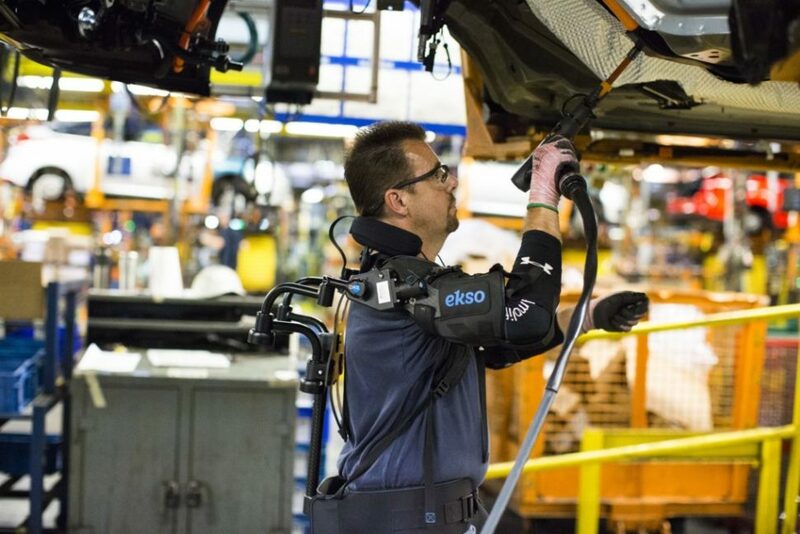 According to Ford, the exoskeleton vests developed by Ekso Bionics Holdings Inc. will be used by employees in the car manufacturer’s 15 factories. The upper-exoskeletal wearables will be worn by employees with repetitive overhead tasks that often require them to lift materials about the same weight as a bag of flour for over 4,000 times a day. The wearable, known as EksoVest, made its debut last November. It was initially tested by Ford in two of its U.S. factories and the automaker was apparently satisfied with the outcomes. The workers from the two plants have reported that despite the vests’ structure and maximum lift assistance of up to 15 pounds per arm, they were comfortable and lightweight. At the moment, Ford has already expanded its EksoVest program to include all the company’s assembly plants located in North America, Asia, Europe, and South America. Where else do you think the exoskeleton technology could be of great use?